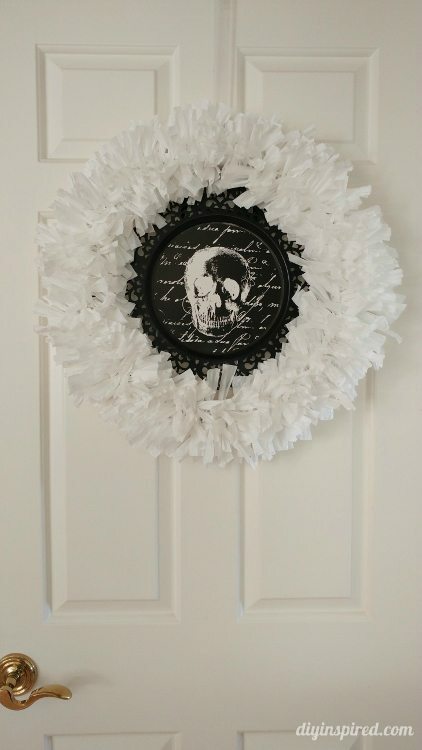 This article, Recycled Plastic Trash Bag Wreath, is sponsored by Hefty. All opinions are 100% my own. Have you seen those Hefty commercials with WWE Wrestler John Cena? They crack me up! My husband and I love him. He has teamed up with Hefty showing how strong and dependable these trash bags are. They have an active tear resistant technology for super strength. 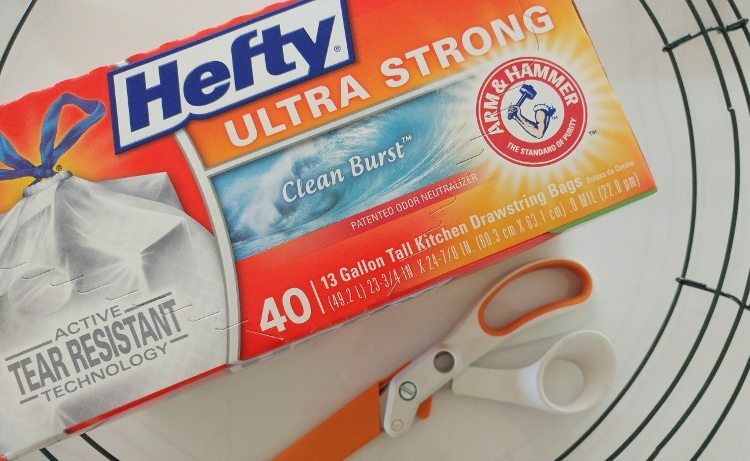 We recently tried the new Hefty Ultra Strong Kitchen Trash Bags. I bought the Clean Burst scent, which are particularly great for holding all those heavy and smelly diapers my six month old is producing! 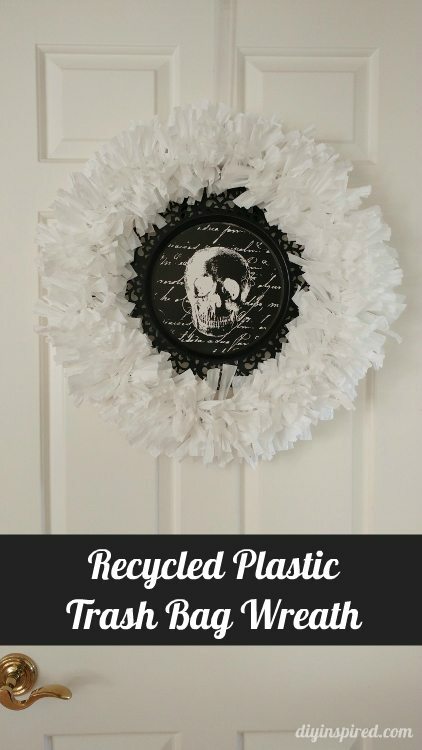 Not only are we using them in the nursery and kitchen, I came up with a creative way to use them by making this recycled plastic trash bag wreath. 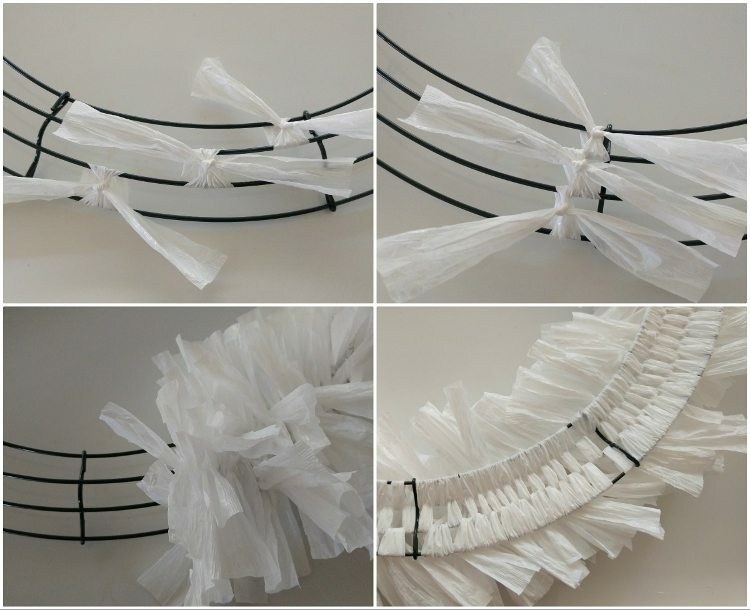 Although this craft is a little time consuming, you really only need three materials. The Hefty Ultra Strong Kitchen Trash Bags are ideal because, 1) this wreath will stand the test of time and will hold up even after storing them year after year, and 2) they smell great! First, cut the bag by cutting off the break resistant grip drawstring and each side. You will now have a square. Open up the trash bag to peal it apart. Put it back together, folding it back in half. Cut the bottom so that you have two squares. Cut the squares (at the same time) into approximately 1.5” wide strips. 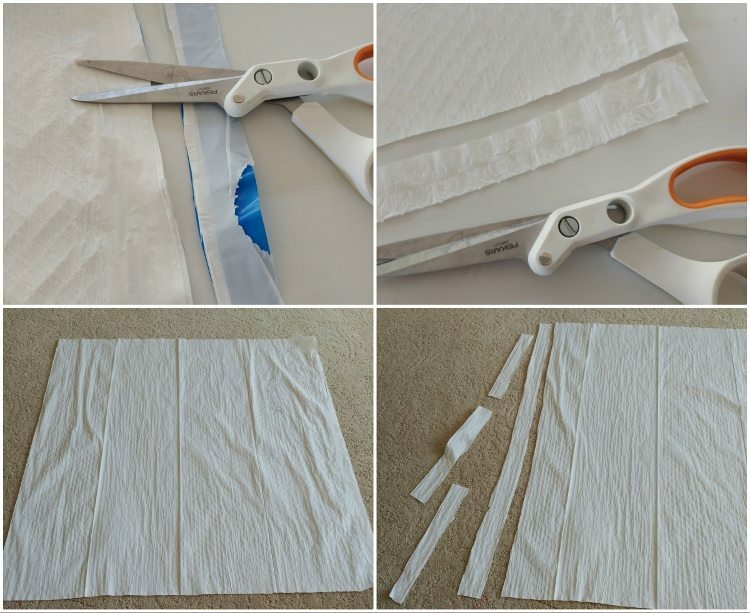 Cut each strip into three pieces as shown (one strip cut into three will give you six strips). Starting with the inside ring, tie a double knot with one strip. Ten do the center, and lastly the outer ring. Push the three ties down as shown. The back should be nice and neat. Continue repeating the process until you have a full wreath. Next, decorate it for Halloween. I chose to place a metal décor plate I found in the center. This way, I can change out the plate for each holiday. Hefty Ultra Strong Kitchen Trash Bags with Arm & Hammer Odor Control have a new low price, which is cheaper than Glad kitchen trash bags. The Arm & Hammer patented odor neutralizer come scent free or in 7 other scents including, Clean Burst, Citrus Twist, Lavender & Sweet Vanilla, Crisp Orchard Apple, White Pine Breeze, Tropical Paradise, and Pomegranate Mist. 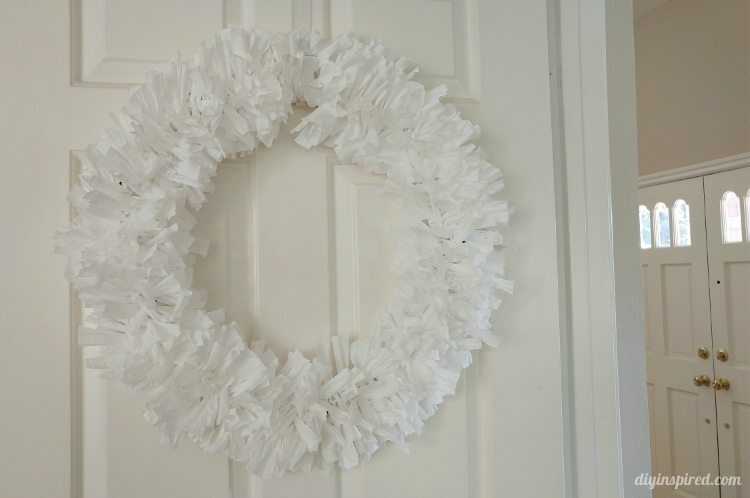 Be sure to download the Hefty coupon to save $1.00 off your next Hefty Ultra Strong purchase so you can try them and make your own recycled plastic trash bag wreath! How long did it take you to complete this wreath?